Gender-Based Violence Against the Transgender Community in the Pacific is Underreported. Transgender women who do not conform to societal expectations of sexuality and gender presentation are at heightened risk of violence based on their sexuality or gender identity. Reliable statistics on violence against transgender people are scarce, as large numbers of victims do not report the crimes to law enforcement because of well-founded fear and distrust. Haus of Khameleon believes that in order to improve the existing structure and response in Fiji and the Pacific, it is critical to examine gender-based violence from an intersectional analysis that addresses the specific vulnerabilities of transgender women based on their sexuality and gender identity. In order to achieve this, the transgender community themselves must take lead in planning, designing, implementing, monitoring and evaluating these responses. 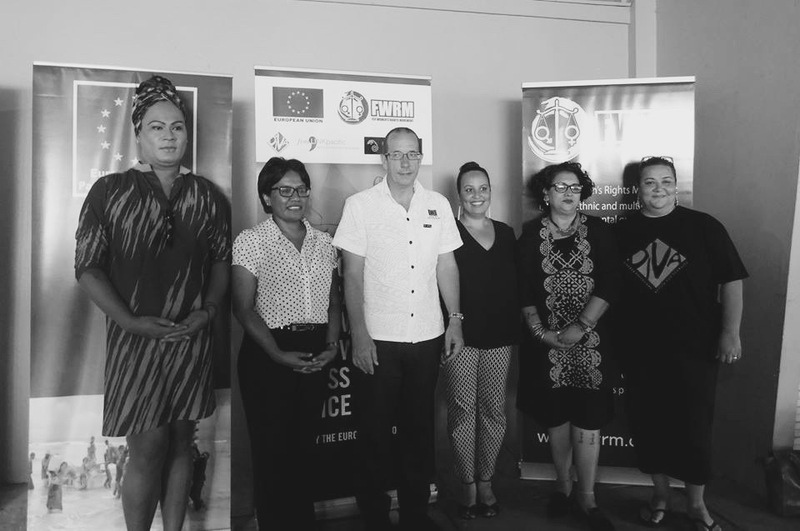 This year with support from FRIDA's Young Feminist Fund, the European Union, UN Women Pacific and the Fiji Women's Rights Movement (FWRM), the Haus of Khameleon will be implementing the first ever groundbreaking research on trans women's experience of violence and their access to justice, working side by side with a consultant and our partners. The research will help the Haus of Khameleon to work with government, policy makers, civil society partners, the police, to develop effective national legislation, policies and programs to prevent and address violence against transgender women. UN Women's support to HOK is in addition to funding for technical support for FWRM's research to examine access to justice more broadly for women in Fiji. This research aims to identify barriers that women face in accessing services relating to security, protection and justice - including women’s experiences with the Family Law Act, Domestic Violence and Crimes Acts - and to ultimately foster an enabling environment for improved access to justice. The research is one component of the broader EU project Balancing the Scales: Improving Fijian Women's Access to Justice Project launched in 2016. It is being implemented by Fiji Women's Rights Movement, FemLINKPACIFIC and providing support to Haus of Khameleon and DIVA. The official launch of the project " Balancing the Scales: Improving Fijian Women's Access to Justice" in May 2016 and was attended by members of the judiciary, civil society, and the development sector. Haus of Khameleon will receive support under this project to implement its Research on GBV. At the Research Design Workshop with UN Women, FWRM, Haus of Khameleon Research Team and the Research Consultant. May 4th 2017. At the Research Design Workshop with UN Women, FWRM, Haus of Khameleon Research Team and the Research Consultant. May 4th 2017. Click here for photo album. Haus of Khameleon has successfully conducted its scoping research exercise in four main divisions as follows: Northern Division (Labasa & Savusavu), Western Division (Sigatoka, Nadi, Lautoka, Ba, Rakiraki, Tavua), Eastern Division (Levuka), Central Division (Navua, Lami-Suva-Nausori Corridor). The main aim of the scoping visit was to establish needed information regarding the research including research logistics, the size of the local TG-women population, venues for the Focus Group Discussions (FGDs), catering for the 10 FGD participants, security assessments of each sites, contact of key informant interviewees (service providers) and others. At the 3 days Research Training for all the Research Assistants facilitated by the Research Consultant. FBC News: Launching of the "Balancing the Scales: Improving Fijian Women's Access to Justice"